Like many nations in the western world, Sweden consumes more meat than is healthy or sustainable. Rather than taking away anyone’s right to eat meat, Sweden politicians are considering taxing beef, chicken, etc. to act as a deterrent. If meat is costlier, they figure, fewer families will serve meat with every meal. As the world population explodes, there are more mouths to feed with less space to grow/raise food. To accommodate for the amount of people, more people will need to shift to a mostly plant-based diet. Using the same amount of land, a farmer growing crops creates 10 times the nutrition as a farmer raising livestock. Health-wise, a meat reduction makes a lot of sense, too. Studies show that meat consumption puts people at a higher risk of cancer, cardiovascular disease and premature death. While protein and iron from meat can be part of a healthy diet, too many seem to think that meat is an adequate replacement for vegetables. If parts of the world tax people for other unhealthy items like soda and cigarettes, why couldn’t it be the same with meat? Additionally, many supporters hope that taxing meat would be a big boost to Sweden’s own agricultural economy. The belief is that local farmers’ fruits, vegetables and grains would really thrive once meat were less affordable. Since analysts predict a long-term global trend toward eating less meat, focusing on cultivating vegetarian food now could give Sweden a competitive leg-up in the decades to come. The environmental factors are just as important. 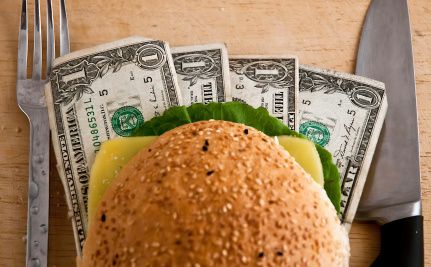 Climate change scientists believe that taxing meat is an important way to curb emissions. Since cattle farts are one of the main sources of greenhouse gases, cutting down on the number of cows raised for slaughter would similarly cut down on methane released into the air. Of course, beef farmers raise as many cows as they can sell for food, so by making meat too costly for shoppers to keep as a dinner staple, farmers will raise fewer cows in turn. It’s not the first time Sweden has explored this idea. Just two years ago, the Swedish Board of Agriculture made a similar recommendation, though the government considered the proposal too controversial to pursue at the time. This time, however, thousands in the country have signed a petition asking leaders to consider a meat tax more seriously. If a meat tax passes, it’ll be interesting to see the benefits and consequences five and ten years down the line. Gerald L, Marianne C, Liz Bryman: "They found, and reported in 2014, that vegetarians had higher incidences of cancer, allergies, and mental health disorders than their âcarnivorousâ counterparts..." Complete and Total BS. Since I stopped eating meat when I was a teen, my health skyrocketed for the better. You're just a group of mentally unstable cruelty fanatics trying to nurse your guilt complex. Maybe you should go on some kind of detoxification program soon, because you will die of a heart attack and other diseases, not to mention poisoning from hormones, pesticides, and all the other crap including adrenaline from dying animals. No justification for that attitude. Mental instability and a short diseased life is universal among meat eaters. Good idea -- it's a step in the right direction.